Created in 2005, Operation Making a Difference offers a 90-day Back to Basics intensive mentoring program for at-risk youth and their families that is geared towards helping participants become productive citizens at school, at home, and in society. Youth between the ages of 10 and 18, some with learning difficulties and/or behavioral issues, meet twice a week with parents and/or legal guardians attending one session. Sessions topics taught by staff, local mentors, and community partners include mental health, peer pressure, conflict resolution, sexual health, drug awareness/prevention, and self-discipline. In addition, tutoring and employment placement options are offered. Participants also enjoy extracurricular activities, volunteer opportunities, and an optional Bible study as part of the program. Operation Making a Difference believes that application of fundamentals will enhance not only the individual, but also the community and society at-large. As a former president of the Youth Service Council, a former member of the Juvenile Conference Committee and a member of The Children's Policy Council, Keith A. Reed, Excecutive Director of Operation Making a Difference, Inc., has over 30 years experience working with youth. He is also a Retired Deputy Sheriff of 25 years. A formal member of the Advisory Board for the LAUNCH Program, as well as serving on the Dean's Advisory Board Committee for Alabama Agricultural and Mechanical University School of Arts and Sciences, he is committed to mentoring youth and facilitating the strengthening of families. A Desert Storm Army veteran, Mr. Reed is certified in Safe Neighborhood Anti-Gang Initiative Trainer; was awarded in 2005 a certificate of Understanding and Teaching of Young Adults, Appalachian State University. he was selected as an honor member to Cambridge Who's Who's, 2009; attended the Virtual Alabama School Safety Summit, 2011 and is a member of the MGIA, 2011. It is no wonder that in April 2008, the Alabama Democratic Conference Community Service Award went to Mr. Reed. He is currently the Vice-President for the Alabama Gang Investigators Association (AGIA), and has held the position since 2014. Mr. Reed believes that basic family principles and effective communication are the keys to strong families. As it has been stated, Mr. Reed has a calling and that call is to guide the youth of today toward the path of tomorrow. 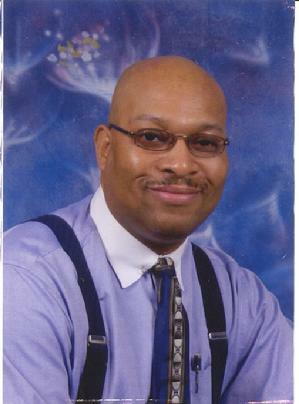 Mr. Cedric X. Reid Sr .is the Program Manager with OPMAD. He comes with 25 honorable years of Military Service (U.S Army), retiring as a 1SGT. Mr. Reid has trained, mentored and prepared thousands of soldiers with leadership skills all over the world. Reid is enjoying his second career as a government contractor for Intergration Innovation, Inc. (i3). He is the President and Founder of The Tuskegee Airmen Motorcycle Club Huntsville, AL, .in which he formed. Chairman of the Board for i3 Cares foundation. Coming from a family of five, raised by a single mother, he quickly found his calling investing time working with young people to give every youth a fighting chance at a successful and productive life. Ms. Durlean Bradford is the Intern Coordinator with OPMAD. She has been working with the program for 3 years, and has over 40 plus years of experience working with youth. Her experience with youth includes being an educator for 30 years, and presiding over an intern program for students at NASA for 10 years. She received a Bachelors and a Masters of Business and Vocational Education from Alabama Agricultural and Mechanical University, and her Certification in Marketing from Auburn University. She has worked tirelessly to select only the best interns for the program, creating a thriving environment for students, parents, and interns alike. Ms. Madeline E. Hereford is the Administrative Assistant with OPMAD. She has been working with the program for 4 years, and has 20 years of experience working with youth. She spent 10 years working with the youth through NASA, and 6 years working with the Juvenile Conference Committee(JCC). She has an Associates Degree in Business Administration from Phillips Junior College, a Bachelors Degree in Business Administration with a major in Human Resources from Athens State, and a Masters in Business Administration and Criminal Justice from Virginia College. Since her arrival at OPMAD, she has been solely dedicated to not only bonding with the students, but also with the parents and volunteers, which has been key in promoting the success of the program.